An impassioned open letter to the senior management team at RIM from an anonymous BlackBerry employee has garnered a response from the company. The unnamed 'high ranking' employee's 1,700 word epistle speaks of his/her frustration with the company's direction and management, and offers eight hopeful suggestions for turning the ailing company's fortunes around. He points out that RIM should be "focused on what users will love instead of chasing 'feature parity' and feature differentiation for no good reason (Adobe Flash being a major example). "I've never seen someone buy product B because it has something product A doesn't have. People buy product B because they want and lust after product B." "The public's questions about dual-CEOs are warranted. The partnership is not broken, but on the ground level, it is not efficient. Maybe we need our Eric Schmidt reign period." 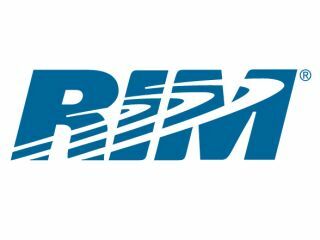 RIM isn't a company known for saying it how it is, and its response to the open letter is no exception. Rather than taking on the points made by the anonymous employee, it rather pours scorn on its reliability and spouts yet more corporate denials and insistence that all is well during this long-running transitionary period. "Regardless of whether the letter is real, fake, exaggerated or written with ulterior motivations, it is fair to say that the senior management team at RIM is nonetheless fully aware of and aggressively addressing both the company's challenges and its opportunities. "RIM recently confirmed that it is nearing the end of a major business and technology transition. Although this transition has taken longer than anticipated, there is much excitement and optimism within the company about the new products that are lined up for the coming months." It concludes by saying that "RIM is more committed than ever to serving its loyal customers and partners around the world." But it seems to us that RIM is more committed than ever to serving RIM – a big internal shake-up seems essential if the company is to survive.